Neutrophils and Shigella bacteria. 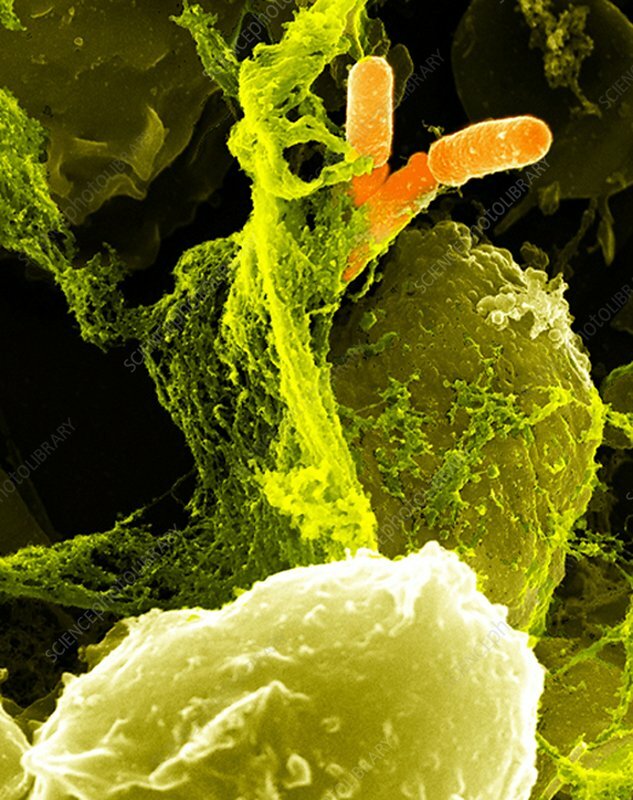 Coloured scanning electron micrograph (SEM) of neutrophil white blood cells (large, yellow-green) and Shigella bacteria (orange, upper right). The neutrophils, as part of the body's immune response, are extruding extracellular traps to engulf (phagocytose) and destroy the bacteria. Shigella is a Gram-negative rod-shaped bacterium. It infects the large intestine and causes mild to severe forms of dysentery.